Free Identity as a Service (IDaaS) Market Report! The KuppingerCole Leadership Compass provides an overview of vendors and their product or service offerings in a certain market segment. 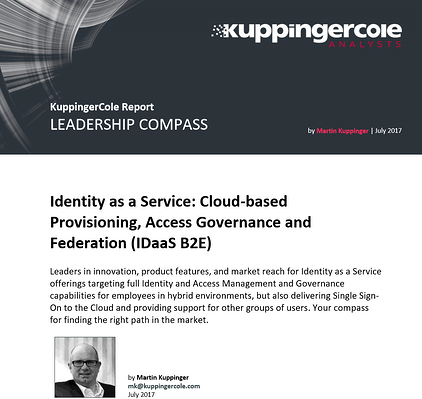 This Leadership compass focuses on the market segment of Identity as a Service offerings targeting full Identity and Access Management and Governance capabilities for employees in hybrid environments, but also delivering Single Sign-On to the Cloud and providing support for other groups of users.